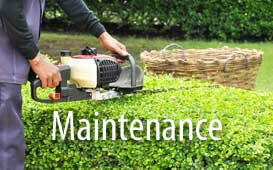 Looking for Property Maintenance in Melbourne? Heritage Property Maintenance is a property and home maintenance services business operating throughout all Melbourne suburbs. We provide a huge variety of quality handyman services to all of our customers to keep your house and garden looking impressive all year round! Whether you are time poor because of work, don’t have the skills, or would simply rather leave it to the Property Maintenance professionals, then Heritage Property Maintenance is the answer. We pride ourselves on the quality and workmanship of our maintenance and handyman services; what’s more, we listen to your requirements and cater to your budget and time frames. We provide an honest, reliable and friendly service and take great pride in all the work we carry out to ensure it is of the highest quality and standard. Your home is always our highest priority, and when you engage Heritage Property Maintenance for any job, we do it once and we do it right! 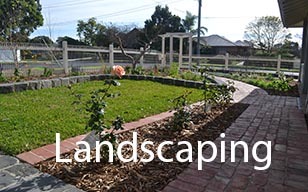 Please see our services page for our extensive property and home maintenance services along with details on our landscaping and general handyman services we offer. We are fully insured with all work guaranteed. 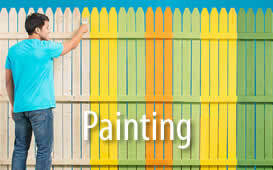 At Heritage Property Maintenance we make the process of home maintenance, handy man jobs, landscaping, fencing, fence painting and any of our other extensive services stress free from start to finish. Quality property maintenance without the hassle!